For the bird lover at home, this mini wooden black bird perched atop a grey river stone is great for a shelf or desk space. A small sitting bird, black cast iron. 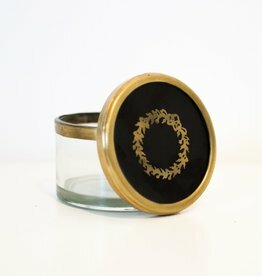 An elegent look for a simple glass box, the perfect tabletop accesory.